Are you sure you want to remove Fair virtue, the mistress of Phil'arete from your list? in English - reprinted from edition of 1622.
in English - New ed. 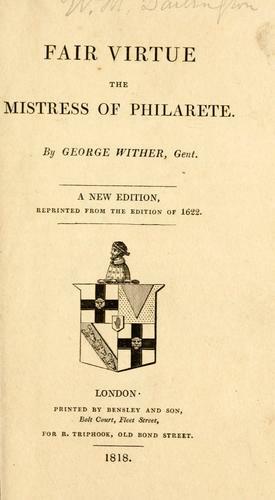 reprinted from the edition of 1622.